There are several ways to add a link to an image. Below are the two most common ways. If you are a PLUS member you can also embed an image using the HTML editor and add a URL to the coding of the image. Below are tips to help create the URL coding and how to add it to the image coding. 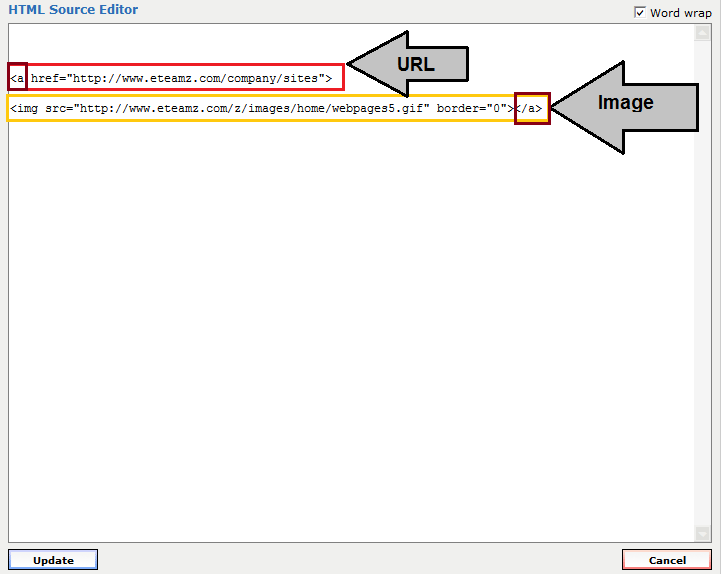 To create a link using an image (instead of text) put the HTML email or web link code around your image code. Insert the image location (URL) between the first and second quotation marks within image code.